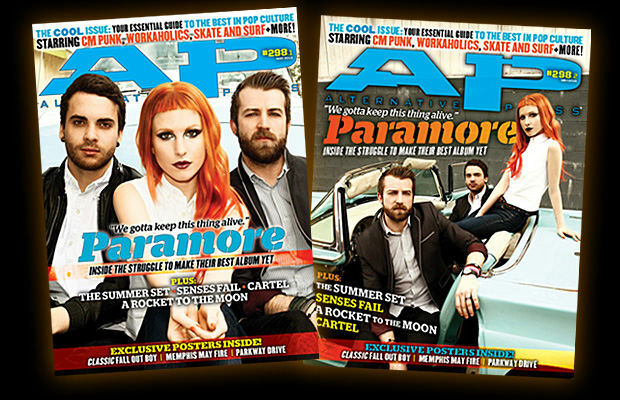 AP #298, our new issue is available everywhere today. Featuring cover artist Paramore, the issue also features long-form pieces on Senses Fail, The Summer Set, Cartel, Koji and A Rocket To The Moon as well as a “My First Band” story from The Almost, Chuck Ragan's favorite gear, an in-the-studio interview with Killswitch Engage and much more from throughout the scene as well as “what's cool” currently in tech, fashion and sports. You can order the issue online (and, yes, you can get AP internationally) or pick it locally wherever AP is distributed. Additionally, AP is available in digitally. Check out our iPad edition for lots of exclusives not available anywhere else.